'Ever since Istarted bowling when I was 13, Ihave been throwing the ball this way. 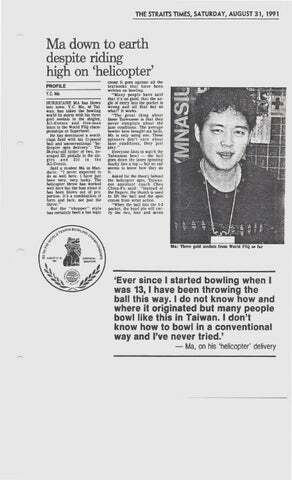 Ido not know how and where it originated but many people bowl like Ihis in Taiwan. Idon't know how lo bowl in a convenlional way and "ve never Iried.' .